Opioid Prescribing in an Opioid Crisis: What Basic Skills Should an Oncologist Have Regarding Opioid Therapy? Although clinical evidence supports the use of opioids for cancer-related pain, doing so amidst the current opioid crisis remains a challenge. A proportion of opioid-related deaths in the USA are attributable to prescription opioids, which implicates health care providers as one of the major contributors. It is therefore even more important now for all clinicians to follow safe and effective opioid prescribing practices. Oncologists are often in the frontline of cancer pain management. They are encouraged to use validated tools to screen all patients receiving opioids for high risk behaviors. Those identified as high risk for potential abuse of opioids should be monitored closely. When aberrant behavior is detected, the clinician will need to openly discuss the issue and its possible implications. Oncologists may then implement measures such as limiting the dose and quantity of opioids prescribed, shortening interval between follow-ups for refills to allow for increased monitoring, setting boundaries/limitations, weaning off opioid analgesics, or/and referring to a pain or palliative medicine or drug addiction expert for co-management when necessary. These efforts may aid oncologists in safely managing cancer pain in the environment of national opioid crisis. Joseph Arthur and Akhila Reddy declare that they have no conflict of interest. •• CDC NCfHS. Wide-ranging online data for epidemiologic research (WONDER). 2017; http://wonder.cdc.gov. Accessed May 7, 2018. Provides relevant current data on the epidemiology of the opioid crisis. Report of the President’s Commission on Combating Drug Addiction and the Opioid Crisis. November 1, 2017. 2017; https://www.whitehouse.gov/sites/whitehouse.gov/files/images/Final_Report_Draft_11-1-2017.pdf. Accessed 01/18/2019. ASCO Policy Statement on Opioid Therapy: Protecting access to treatment for cancer-related pain. 2016:16. http://www.asco.org/sites/new-www.asco.org/files/content-files/advocacy-and-policy/documents/2016_ASCO%20Policy%20Statement%20on%20Opioid%20Therapy.pdf. Accessed 01/24/2017. Commision TJ. Pain management 2018; https://www.jointcommission.org/topics/pain_management.aspx. Accessed May 28, 2018. Hughes A, Williams, M. R., Lipari., R. N., Bose, J., Copello, E. A. P., & Kroutil, L. A. Prescription drug use and misuse in the United States: results from the 2015 National Survey on Drug Use and Health. 2015; http://www.samhsa.gov/data/sites/default/files/NSDUH-FFR2-2015/NSDUH-FFR2-2015.htm. Accessed 5/12, 2018. Prevention CfDCa. Annual surveillance report of drug-related risks and outcomes — United States, 2017. 2017; https://www.cdc.gov/drugoverdose/pdf/pubs/2017-cdc-drug-surveillance-report.pdf. Accessed 06/25, 2018. Prescription drug monitoring program training and technical assistance center. http://www.pdmpassist.org/content/state-pdmp-websites. Accessed 10/01, 2017. Defense USDoVAUSDo. VA/DoD clinical practice guideline for opioid therapy for chronic pain 2017; www.healthquality.va.gov/guidelines/Pain/cot/. Accessed May 9, 2018. Mishra SI, Scherer RW, Snyder C, et al. 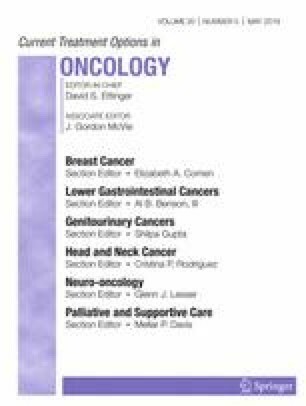 Exercise interventions on health-related quality of life for cancer survivors. Cochrane Database Syst Rev. 2012(8). https://doi.org/10.1002/14651858.CD008465.pub2.